Select the folder containing the message you wish to forward. 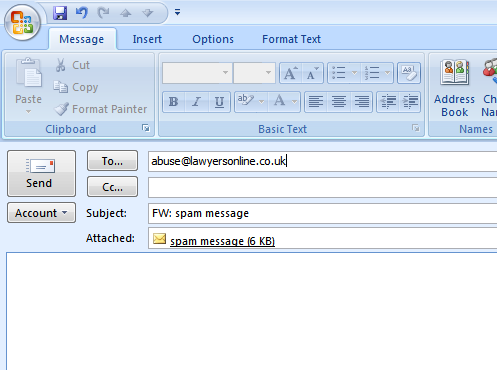 Now select the message from the list, when the message is selected it will have a blue background. 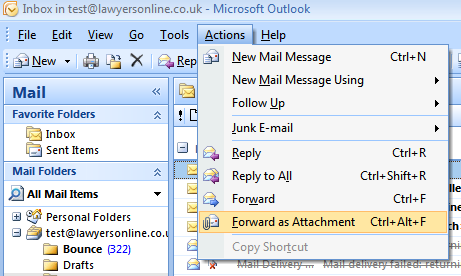 Click the 'Actions' menu, then click 'Forward as Attachment' from the dropdown menu. This will open a new window to compose your message.